The scientific work of Natarajaswamy “Natraj” Kalleda has been honored with a lecture at the distinguished Gordon Research Conference on Fungal Immunology in Galveston, Texas. In his lecture Natraj Kalleda presented his recent work on how preparative regimens for adoptive immune cell therapy, even if well-intended, could impair efficient immune control of life-threatening fungal infections. His talk “Corticosteroids impair granulocyte transfusion therapy by targeting NET formation and neutrophil antifungal functions via ROS/Dectin1 pathways” caused wide attention, sparked discussion and may influence how we treat fungal infections in immunocompromised patients in the future. More than 27.000 physicians, scientists and clinician-scientists from all over the world participated in this year’s Annual Meeting of the American Society of Hematology (ASH) from December 3-6, 2016 in San Diego. This year, our group contributed to this conference with three presentations. 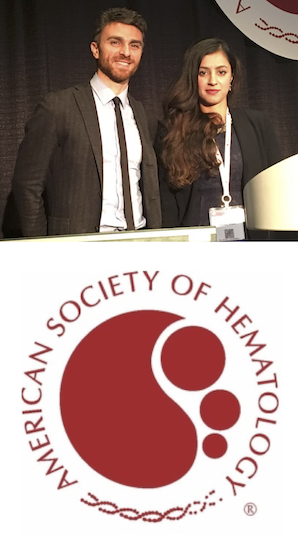 Considering the outreach and the limited slots to present data, we are very proud that all three participating scientists from the Beilhack lab were also selected for the prestigious ASH Abstract Achievement Awards: Musga Qureischi, who joined the group for her PhD project in 2016; Dr. Antonio Solimando, a physician-scientist and visiting scholar from the University of Bari, Italy; and Natraj Kalleda, who recently completed his PhD thesis. In his lecture on Sunday morning Dr. Antonio Solimando reported new results on the interaction of multiple myeloma cells with the bone marrow microenvironment. Also on Sunday, Natraj Kalleda presented novel insights into adoptive cellular therapy for invasive aspergillus infections. In the session for allogeneic hematopoietic cell transplantation on Monday, Musga Qureischi gave a talk on our collaborative research project with PD Dr. Friederike Berberich-Siebelt on molecular signaling in alloreactive T cells in GVHD. The Annual ASH Conference is considered as the most important venue in the broad field of hematology including research for hematologic malignancies, hematopoietic stem cell transplantation and immunotherapy. 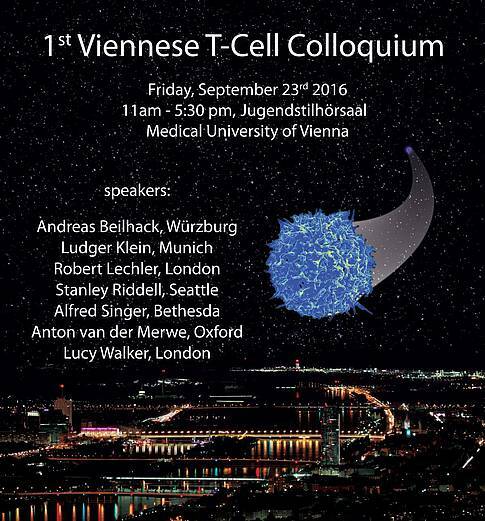 On Friday, September 23rd, 2016, Prof. Andreas Beilhack was invited to participate at the 1st Viennese T cell Colloquium in Vienna, Austria. 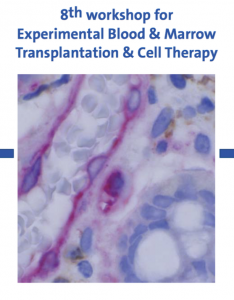 He presented the lab’s recent progress in stimulating regulatory T cells in vivo for the treatment of inflammatory conditions, such as acute graft-versus-host disease. Before the lectures took place in the fabulous historic Jugendstil lecture hall at Vienna’s General Hospital the group enjoyed a guide tour through the fantastic anatomic collections and wax models dating back to 1784 at the Josephinum. The topics of the conference ranged from T cell development and thymic selection to T cell mediated autoimmune diseases, transplantation and cancer immunotherapy. Our lab has developed a new approach that may prevent leukemia and lymphoma patients from developing graft-versus-host disease (GvHD) after therapeutic bone marrow transplants. Acute GvHD can be a life-threatening immune reaction following transplantation. In an article by Martin Chopra et al. 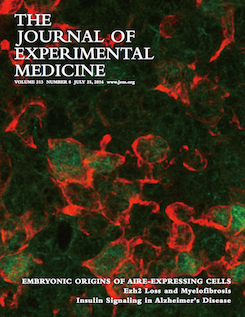 we describe the successful application of the strategy in mice in our recent paper “Exogenous TNFR2 activation protects from acute GvHD via host regulatory T cell expansion” that is now published in The Journal of Experimental Medicine. 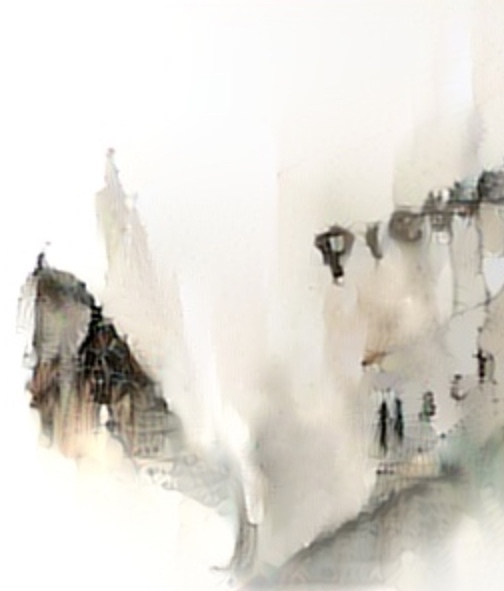 Every year the Beilhack lab spends one day together more devoted to fun group activities like canoeing, hiking, climbing, laser tagging and exploring Würzburg and its beautiful surrounding rather than sophisticated and ground breaking scientific experiments. 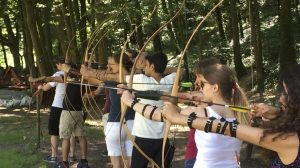 Archery won this year’s vote for the annual Beilhack lab retreat on July 19. The Steigerwald forrest near Würzburg provided a wonderful setting for our excursion on this hot summer day. For sure, focus and skill were key and, clearly, Miriam Ritz could establish herself as our best toxophilite. 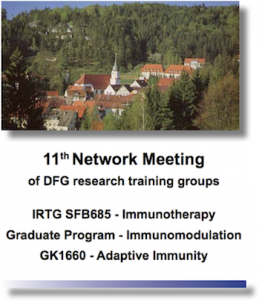 Research groups in the field of hematopoietic cell transplantation and cellular therapy from the universities Charité Berlin, Frankfurt, Freiburg and Würzburg met this year from July 12 to 13, 2016 for the 8th eBMT & Cell Therapy Workshop on the Schauinsland, a mountain in the Black Forrest with ancient silver mines and spectacular views, just above the city of Freiburg im Breisgau. This year’s meeting was hosted by the group of Prof. Robert Zeiser from Freiburg University Hospital. 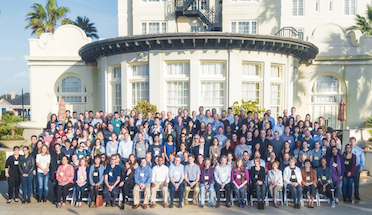 An excellent scientific program, the great location and not so good weather provided for fruitful scientific exchange and vivid discussions. Already we are looking forward to our 9th workshop, which will be held near Würzburg in 2017. From July 5-6, the PhD students presented and discussed their latest advances in immunology and immunotherapy research with members of the immunology programs of the Universities of Erlangen, Tübingen and Würzburg in Obertrubach, located in the Fränkische Schweiz (Franconia Switzerland). This joint retreat of three DFG graduate colleges provides an excellent platform of scientific interaction. Over the years it served as a starting point for many fruitful collaborations, e.g. our recent joint-project with Prof. Dominik Hartl’s group from Tübingen was published in the journal Cell Host Microbe in 2015. 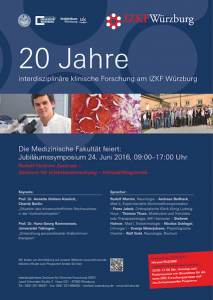 Since 20 years the Interdisciplinary Center for Clinical Research (IZKF) Würzburg supports (phyisican-)scientists at the University Hospital and the Medical Faculty of Würzburg University. The success of this important intramural research program fostering an open-minded and strong interdisciplinary research culture in Würzburg was celebrated on June 24, 2016. These festivities provided the opportunity for Prof. Andreas Beilhack to present most recent research achievements of his IZKF-funded research laboratory. In his lecture, titled “In vivo veritas – Novel concepts for immunotherapy”, he provided translational perspectives for the development of novel diagnostics and drugs to treat patients suffering from inflammatory diseases and cancer. 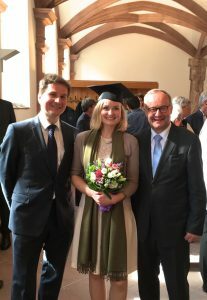 On Saturday, June 4, 2016 at this year’s commencement of the Würzburg University Medical School we celebrated the graduation of Dr. Agnes Birner. Congratulations! It was a festive ceremony honoring the achievements of this year’s freshly graduated MDs and of Würzburg University Hospital’s former director, Prof. Dr. Dr. h.c. Christoph Reiners, who was awarded the Rinecker Medal in Gold. Another highlight was the fantastic music performance by the consummate virtuoso Jiechu Chen on the piano, who is also a medical student at Würzburg University.